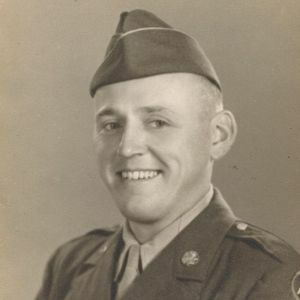 Memorial services for Peter Genutis, 94, of Lufkin will be held Friday, May 4, 2012 at 4:00 p.m. in the Carroway Funeral Home Chapel with Reverend Bob Harbuck officiating. Cremation arrangements are under the direction of Carroway Funeral Home. Mr. Genutis was born December 2, 1917 in Chicago, Illinois to the late Anthony and Anna (Saulys) Genutis, and died Friday, April 27, 2012 in a local nursing home. A former resident of Chicago, Illinois, Mr. Genutis had resided in Lufkin for 16 years. He served in the U.S. Army during World War II and was a police officer with the Chicago Transit Authority from 1941 until 1975. Mr. Genutis was a member of the Fraternal Order of Police, the Illinois Police Association, and the AMVETS Police Post. He was a member of St. Pat's Catholic Church in Chesterton, Indiana. Survivors include his granddaughter, Regina Evans of Lufkin; grandson and spouse, Scott and Sandra Halek of Fredericktown, Missouri; grandson-in-law, Billy Evans of Lufkin; great-grandchildren, Robin Evans, Justin Evans, both of Lufkin, Kristina Halek, Daniel Halek, Sean Halek, Sierra Halek, Phoebe Halek, Carl Halek, and James Halek, all of Fredericktown, Missouri; and nieces and nephew, Carol Genutis of Tinley Park, Illinois, Ken Genutis of Bon Aire, Georgia and Janet Genutis of Powder Springs, Georgia. In addition to his parents, he was preceded in death by his daughter, Margaret Mary Halek; and brother, John Genutis. I just saw the obituary for your father. I am now in charge of writing the CrossArm Newsletter for the 39th Signal Construction Battallion. Peter and my father were in that unit in WWII. Please accept our sincere sympathy from the 39th "family". I will attach his obituary to the next CrossArm newsletter.